From the hustle and bustle of the city to a quiet retreat. 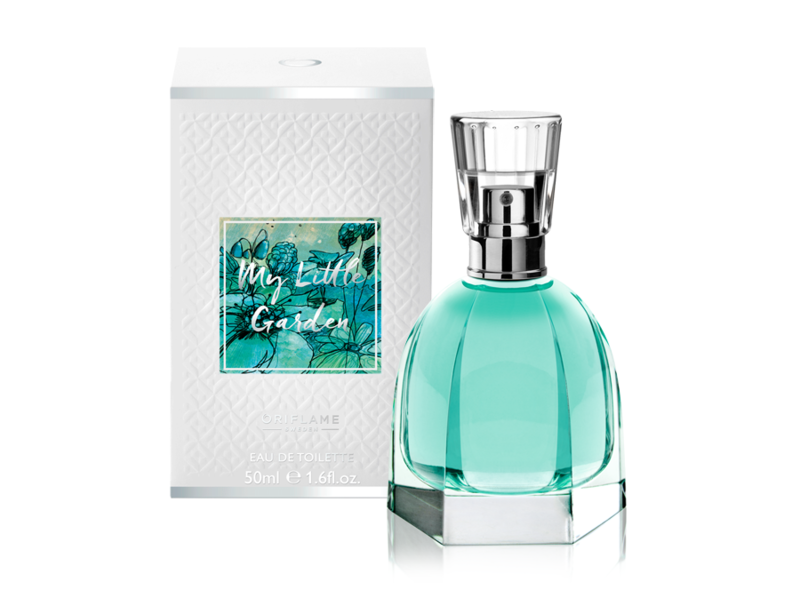 My Little Garden by Oriflame is a creation by the perfumer Elise Bénat, creator of well-known fragrances of Loewe and ST Dupont, which promises to turn a hot urban day into a cordial oasis of sensations and pleasures. Free yourself from the chaos and turmoil of everyday life. This modern floral-muguet fragrance, with the fresh and green aroma of the basil flower, will transport you to the peace and tranquility of a garden full of aromas that invigorate and soothe the soul. A scent just for you. Feel the tension of the day fade. This modern floral-muguet fragrance, with the sublime, fresh and green aroma of the basil flower, will transport you to the peace and tranquility of a garden full of aromas that invigorate and soothe the soul. 50 ml.